You’d think everyone is aware that not everything you see on the internet is true. And yet, many people blindly believe and admire photos that sometimes turn out to be fake. How many of you thought that a cow resting on a BMW hood was skillfully fabricated? What about the photo of an iceberg that shows the top and underwater bottom? Many people use it as a desktop background. Well, it’s a fake too. Bright Side gathered 14 viral photos that are still quite popular online. They’ll surprise you and some will put a smile on your face while others may even shock you! A photo of the purple trees on the Isle of Skye looks so impressive that many people are eager to see it in real life. But many of them become very disappointed when they arrive here. The thing is, someone painted the forest purple in Photoshop. In fact, a real photo was taken near the Shotover River in New Zealand and then edited in Photoshop. “The Island of Molokini — a natural star and a crescent — located between Maui and Kahoolawe, Hawaii” is the well-known description of the photo. The only truth here is the name of the island, Molokini, that really looks like a crescent. A star was added using a photo editor. This photo has been viral for several years. Many of you might be surprised at the amount of plankton in just one drop of seawater. However, the title of the photo is quite confusing. In fact, you would have to filter the amount of water enough to fill a swimming pool with a special net to gather that much plankton. After the filtration, all these organisms would fit into a glass. Therefore, that much plankton can be found in dozens of tons of water — not in one drop. Besides, you can see the side of a Petri dish in this photo. Obviously, this photo was edited and many people were amazed by the woman’s flexibility. But the photo on the right is the only real one. This well-known photo that many people like to use as a desktop background is actually a combination of 4 separate images. According to the author of the image, Ralph Clevenger, the photo of the clouds was taken in Santa Barbara, California, the top of the iceberg was shot in Antarctica, the bottom part — in Alaska. Besides, it was an ordinary photo of an iceberg that Ralph turned upside down and placed it underwater in his image. Thanks to the right lighting of the bottom in the photo editor, the iceberg turned out to be very impressive. But now we know the truth. This eerie photo has become viral on social network websites after the strike of Hurricane Irma in September 2017. However, it’s just a clever composition of 2 photos. Here’s the original photo of a shark. Photos of sharks swimming on highways became quite popular during almost every extreme weather event since 2011. This photograph became popular after the earthquake that happened on April 25, 2015 in Nepal. That is when numerous photographs of the tragedy, including this photo, were submitted to social network websites. The photo shows a boy hugging his scared sister. However, the photo was taken in Vietnam in 2007 by photographer Na Son Nguyen. As he told BBC News, he met these children in one of the villages in Vietnam. They were playing while their parents were busy at work, but as the girl saw a stranger she started crying and the boy hugged her. This photo became viral among the Vietnamese Facebook users who titled it “the lost orphans.” Then the photo was used to show “the Burmese orphans,” as well as “the victims of the civil war in Syria.” The photographer even had to write on his Twitter account where he actually took the photo in the first place. A photo under such a title can often be seen on the internet. 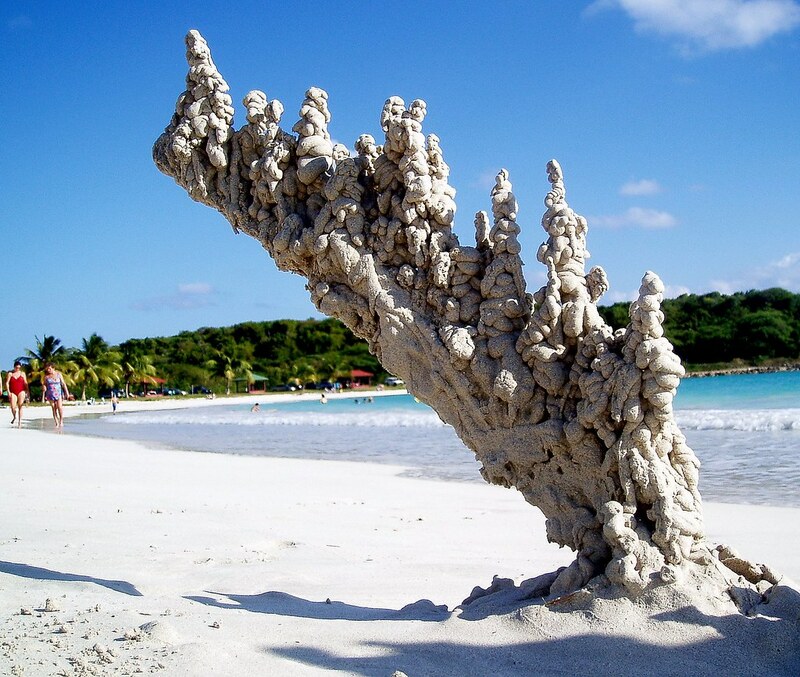 The truth is, when lightning strikes sand, it can form fulgurites, also known as the petrified bolts of lightning. They can only form in the sand, not above its surface. The photo above shows a piece of log covered with wet sand. This is one of the artworks made by Sandcastle Matt, who uploads the photos of his unusual hobby on Flickr. The post has launched the image into the stratosphere of popularity and since then it was published thousands of times on different websites. In fact, the cow was edited in Photoshop, otherwise, the front of the car would’ve been crushed under the weight. The author of the photobomb is unknown, but Surrey Roads Policing Unit played a major role in the popularization of the image. The photo started to spread all over the internet in 2003. The title said that Snowball weighed 87 lb and his mother lived in a nuclear power plant. In fact, the cat’s name is Jumper and he’s a regular-sized cat. His owner Cordell Hauglie made a joke by enlarging the cat in Photoshop and then showed the image to his friends. He had no idea just how popular he and his pet would become! During his visit to Russian Martial Arts schools, actor Steven Seagal was photographed with Vladimir Putin and other important figures. As soon as the photo was uploaded on the internet, a similar fake photo appeared in which the actor is seen photobombing the Russian president. Many people believed the photo was real, but the actor behaved correctly and didn’t photobomb the president. In September 2016, a photo of the Prime Minister of the United Kingdom, Theresa May, and 27 members of Cabinet ministers surfaced on the internet. The photo became viral because of Edvard Munch’s The Scream hanging on the wall. But the photo turned out to be fake and the real photo shows a completely different work of art. This photo appeared on the internet in 2013. Many websites claim that it is “A carefully carved cabinet that looks like a digital glitch.” Actually, it’s a computer concept of furniture made from oak designed by Ferruccio Laviani. The end-product of the design was a bedside table that was presented during the furniture exhibition in 2013 in Italy. Therefore, the photo above shows just a digital concept, not a real cabinet. There’s an interesting story behind this photo. Many people doubted its authenticity and are sure it was edited. They also use the photo below as proof. When you first look at the semi-sphere, you have doubts about the authenticity of the photo of the biggest planet in the Solar System. The truth is the first photo is a real image that was actually sent back by the Cassini space probe around Saturn. 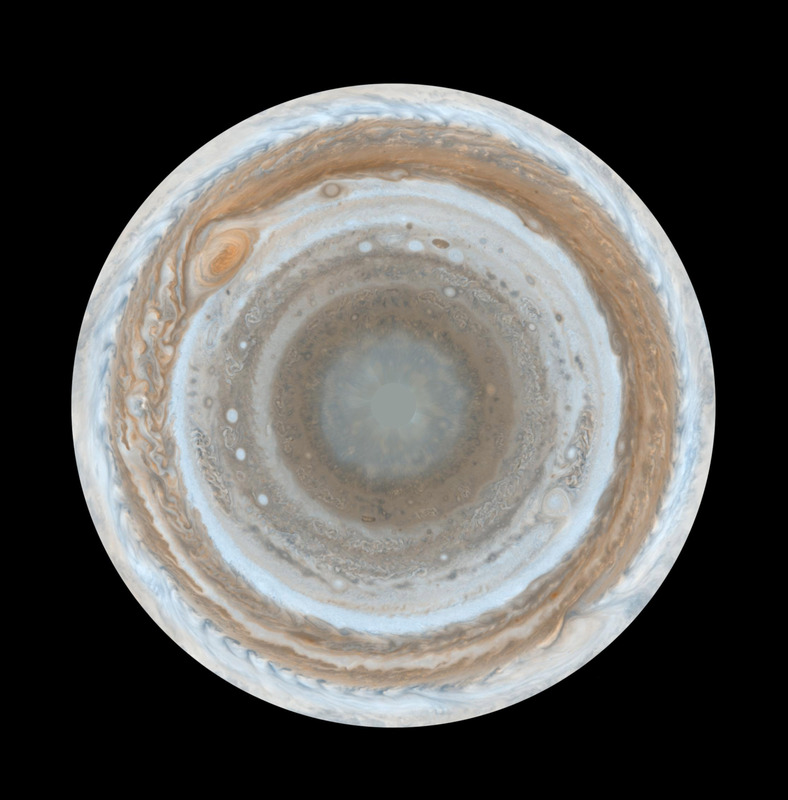 At the end of 2000, on its way to Saturn, Cassini took a photo of Jupiter’s south pole. You can see this photo on NASA’s website. But in this case, the “proof” photo is actually a fake: the photo of Jupiter was edited and pasted onto a ball. Those who still have doubts can watch this video, where this ball is cut in half. Do you know of any other popular photos that are totally fake? Maybe you even have some edited photos of your own! If so, share them with us in the comments!